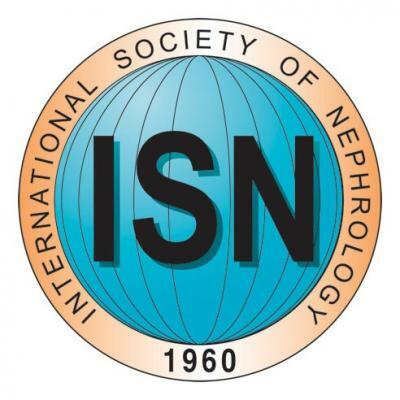 The ISN-ANIO India Committee was initiated by ISN, nephrologists in India, and nephrologists of Indian origin living abroad to improve care for patients with kidney disease in India. It was founded in 2010. The committee’s name recognises that ANIO represents by far the largest group of Indian nephrologists in the diaspora, but the committee’s membership also includes representatives of the Indian diaspora beyond North America. The Committee is focused on 4 areas: CKD, renal pathology, transplantation, later AKI. Transformative – programs or projects that foster a major positive difference in the nephrology care of people in India. 2) when ISN is no longer involved. Innovative – programs or projects that advance the field or develop and use new technologies or systems. Culturally sensitive and non-exploitative – programs or projects that do not benefit ISN only but have a bi-directional benefit. Capacity building – programs or projects that focus on fostering increased capability. Service-oriented – programs or projects that provide patients and/or providers of care with knowledge and expertise they previously might not have had. Cost-effective – programs or projects that do not burden either the ISN or the nephrology community financially but rather return a net positive benefit over a period of time. Integrated – programs that are compatible with the overarching global mission of the ISN. Funds so far raised to support the work of the Committee are a little over £250,000. This is mainly from a single donor in India. The ISN-ANIO India Committee is seeking funds in India, the United States and beyond, through government funds, corporate sponsors and individual donors. ISN receives any donations or contributions on behalf of ANIO. ANIO agrees that 50% of all funds raised through its members and its own fundraising activities will go directly to support the work of the ISN-ANIO India Committee. When an agreed level of donation is offered by an individual or organisation, their generosity will be appropriately recognised. Since 2012, the ISN-ANIO India Committee co-funds with ISN two fellowships for Indian nephrologists to train abroad. An absolute requirement of these fellowships is that the nephrologist returns to work in India. The fellows are chosen through the usual ISN Fellowship application and selection process, and with input from the ISN-ANIO India Committee. The purpose of this apprenticeship is to give an opportunity to a physician or allied healthcare personnel to learn specific skills, e.g. a pathologist or a technician to train in pathology techniques, or for an individual to train in a specific area of transplantation such as tissue typing or transplant coordination. We expect the first apprenticeships to take place in 2013/2014. A blended learning program in renal pathology has been developed It combines face to face teaching with webinars. The first program which started in 2012 was oversubscribed, and numerous nephrologists and pathologists in India were selected. After very positive feedback, a second program will be launched in 2013. There is great interest in this program which will likely to be offered soon to other parts of the developing world. The first transplant projects will start in late 2013 and will focus on using the apprenticeship scheme to support improvements in tissue typing expertise in India, and also transplant coordinator training (in partnership with Mohan Foundation.